Jan 24 – Barb Wire Dolls came to New York to play at the Bowery Electric as part of their seemingly never ending tour. 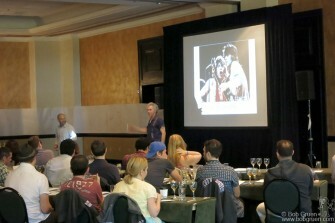 Jan 27 – I went to Puerto Rico with my friend the famous sommelier, Jean Luc Le Due, to give a Rock & Roll wine tasting there for the top staff of the City Winery clubs. 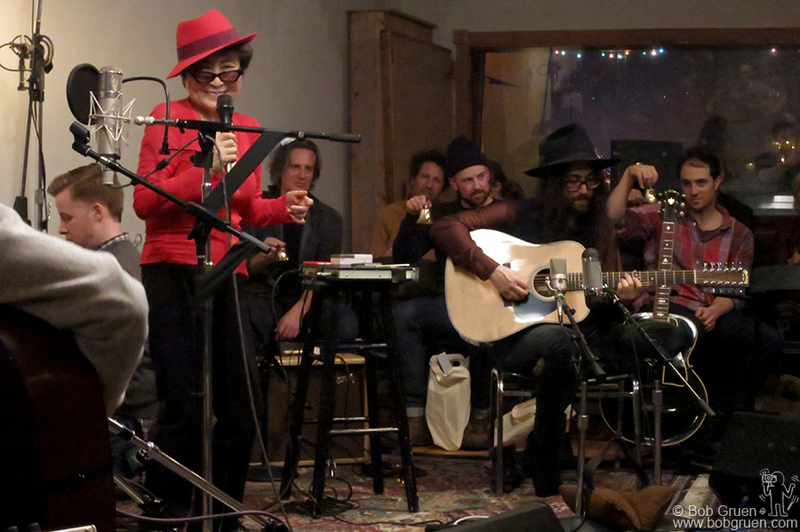 Feb 18 – Yoko Ono & Sean Lennon celebrating Yoko’s 82nd birthday party at Sear Sound, NYC. 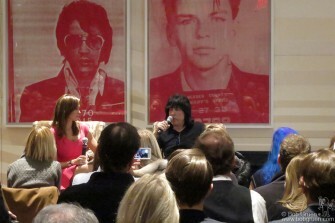 Feb 20 – Liz Lamarie & Alan Vega during Alan’s art opening at Invisible-Exports, NYC. 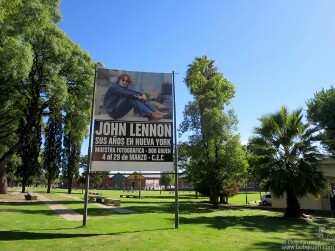 March 26 – Billboard for Bob Gruen’s “John Lennon: The New York Years” exhibition at the Centro de Expresiones Contemporaneas in Santa Fe, Argentina. 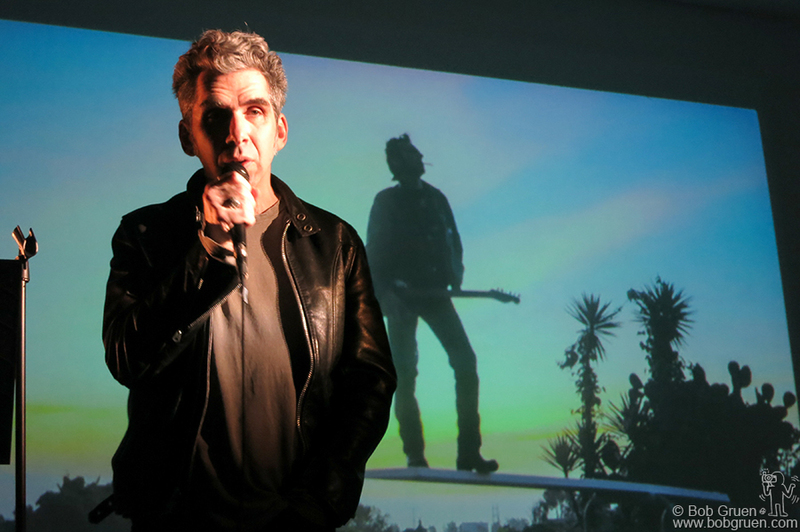 April 3 – Josh Cheuse talking about his album cover photo of Joe Strummer during the “Blow Up” photography event at Roof Studio, NYC. 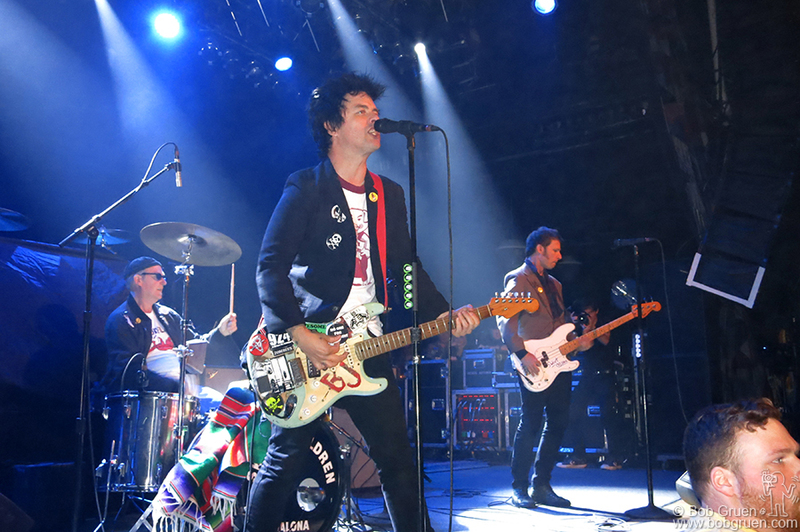 April 16 – Jesse Malin & Billie Joe Armstrong at the House of Blues in Cleveland, OH. 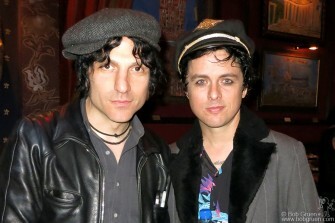 Jesse’s band opened the secret show Green Day played there to warm up for the Rock & Roll Hall of Fame night. 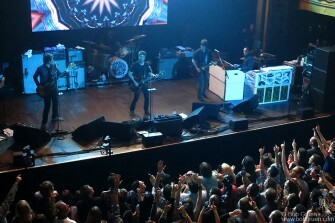 April 16 – Green Day with their original drummer John Kiffmeyer on stage at the House of Blues in Cleveland, OH. 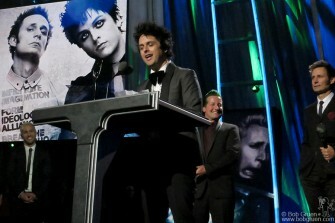 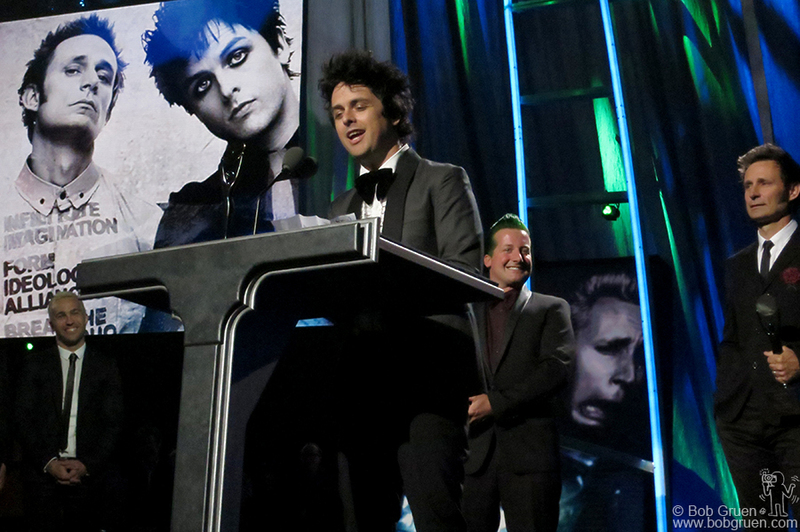 April 18 – Green Day on stage at the Rock & Roll Hall of Fame Induction Ceremony in Cleveland, OH. 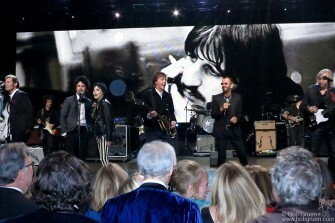 April 18 – Green Day, Joan Jett, Paul McCartney, Ringo Starr and Joe Walsh on stage at the Rock and Roll Hall Of Fame Induction Ceremony in Cleveland, OH. 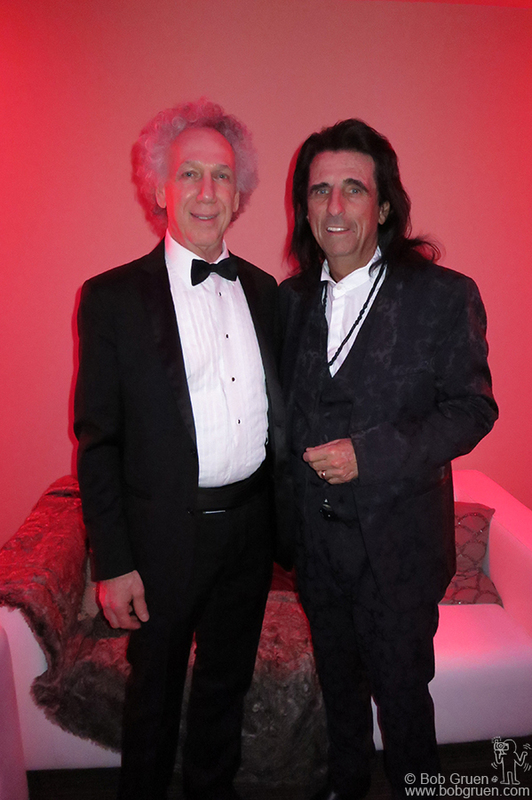 April 18 – I got to hang out with Alice Cooper during the Rock and Roll Hall of Fame Induction Ceremony at the Public Hall in Cleveland, OH. 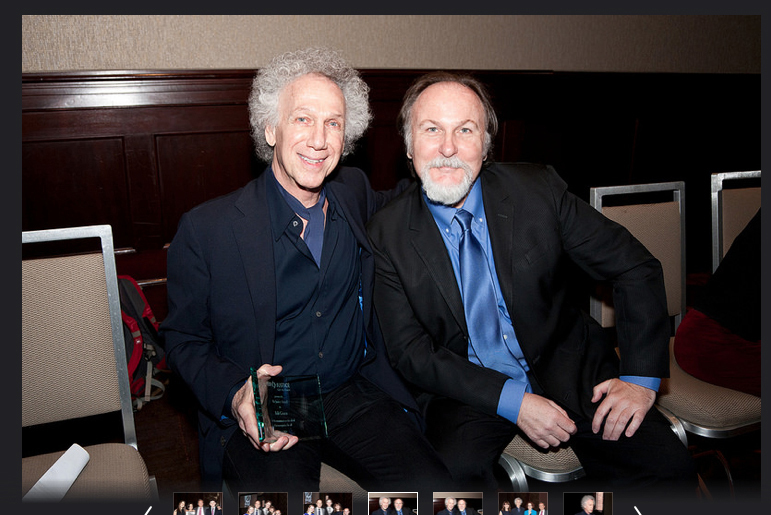 May 6 – TV personality Bill Flanagan presented me with an Honor Award during the Her Justice dinner at the Sheraton Hotel, NYC. Her Justice provides free legal services to victims of domestic violence, an organization I’ve supported for several years. 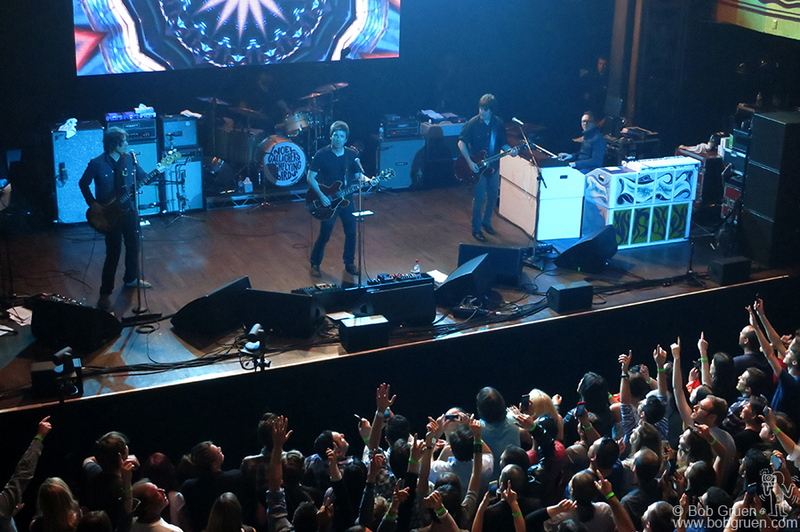 May 7 – Noel Gallagher’s High Flying Birds on stage at Webster Hall, NYC, just before he gave me a big shout-out. 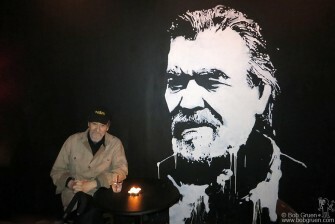 May 15 – Giorgio Gomelsky during the closing celebration of his famous loft space in NYC. 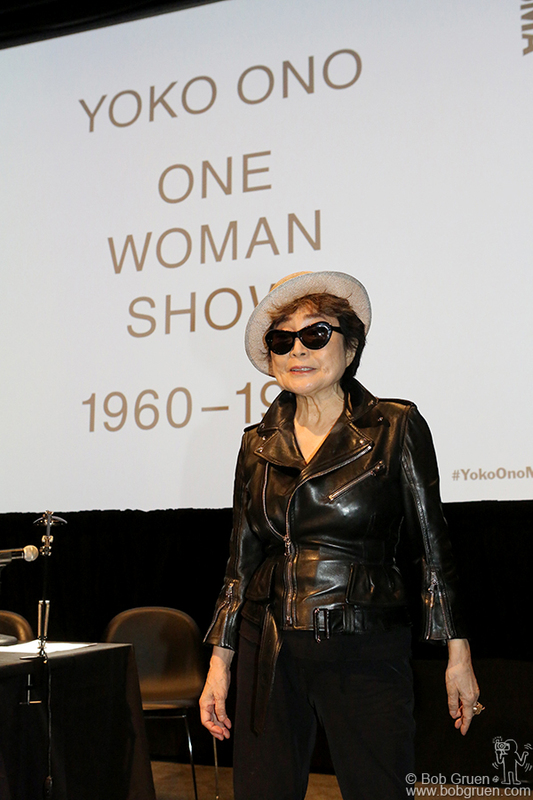 May 12 – Yoko Ono during the press conference for her exhibition at the Museum of Modern Art, NYC. 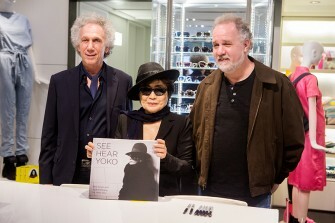 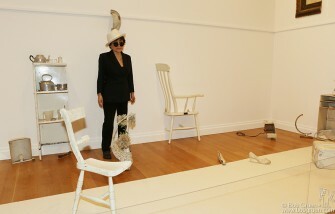 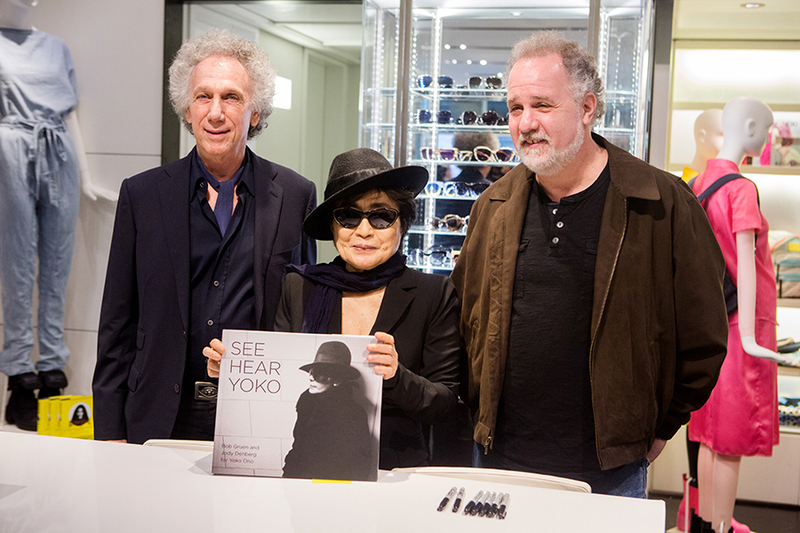 May 12 – Yoko Ono at the opening of her long overdue exhibition at the Museum of Modern Art, NYC.